There are reduced prices for disabled people on presentation of a valid disabled pass for people with severely impaired mobility. If the pass has the additional stamp "B" (=Begleitperson – accompanying person) the accompanying person only pays the reduced entrance price. Visually handicapped visitors have free entrance. 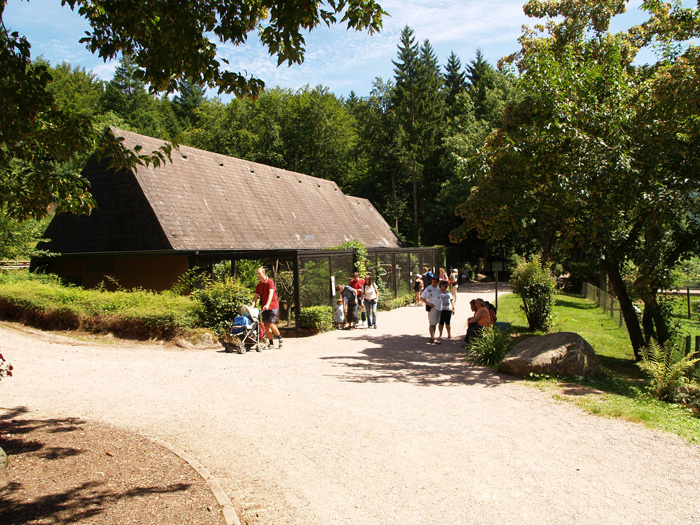 The Vogelpark Steinen lies in a valley basin and is easily accessible for people in a wheelchair. The paths are gravelled and some of them rise slightly. 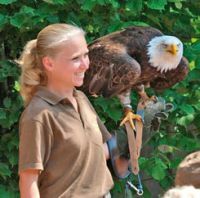 There is a short, slightly rising path to the falconry, approximately 50m from the park entrance. Alternatively people in wheelchairs can use a somewhat easier path to the falconry opposite the Ara pond. 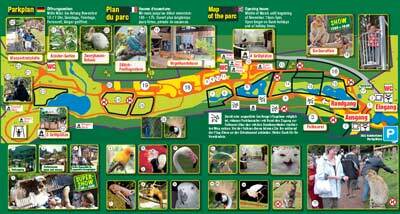 There are just 100m from the park entrance to the enclosure where the apes are fed. There is a toilet for disabled people at the entrance.